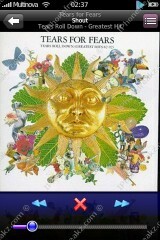 MusicPlayer 8 Colours is a mod available via Cydia and is to be used with WinterBoard. Basically what it does is customises the iPod app. It changes most of the images within the app and also the icon. There are 8 colours to choose from, hence the name MusicPlayer 8 Colours. Screenshots inside. iThemeit! is a free iphone theme application/program for PC made to help users mix and match icons, backgrounds, wallpapers and different style themes to send to their iphone with the single click of a button. Themes created are also saved on your PC so you can always re-use what you created or share your themes with others. 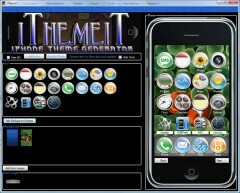 iThemeiT is designed to help you quickly create beautiful and creative themes to personalize your iphone. MMiThemer is a application that will let you download all SMB themes that are available from ModMyIfone. MMiThemer got updated to version 0.24b. This version fixes mainly bugs. I cant find any new features in this release. Croiman is up to it again. Some days ago he released Psycho Super Prefs upon us, and today he released his music player mod. iThemeit! is a free iphone theme application/program for PC made to help users mix and match icons, backgrounds, wallpapers and different style themes to send to their iphone with the single click of a button. Themes created are also saved on your PC so you can always re-use what you created or share your themes with others.